In the Game's Ultimate Memorabilia line was one of the first to set the high-end standard that is so common in the hobby today. 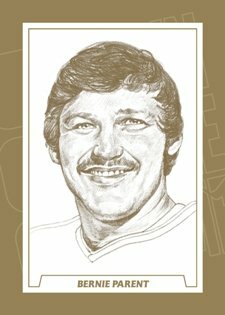 Ultimate Memorabilia 11th Edition hockey cards include a premium mix of current and past stars, with each pack promising an autograph and memorabilia card. With just one base card per pack, the 100-card set is going to be tough to put together. 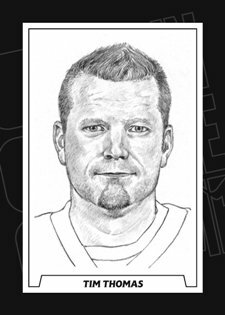 This year, In the Game has recruited the talents of Mike James to draw the base cards with the original artwork to be used on sketch card parallels. 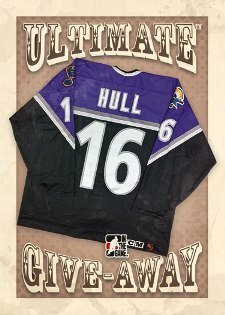 Also new is the Ultimate Giveaway program that will award collectors with a full piece of memorabilia, including a game-used Brett Hull All-Star jersey. 100-card base set features the art work of Mike James. Base set parallels: Silver (/63 or 64), Gold (/9) and Black-Bordered Sketch Cards featuring the original base card art. Draw to Order Memorabilia Cards let collectors pick the player they want drawn on their card by James. Boys Are Back is a game-used set highlighting the greatest players in Winnipeg Jets history. 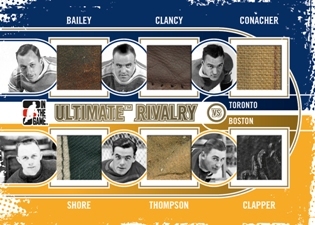 Ultimate Rivals and Cup Finals both feature six game-used pieces. Ultimate Emblem and Ultimate Number memorabilia cards feature swatches personally selected by ITG president, Dr. Brian Price. 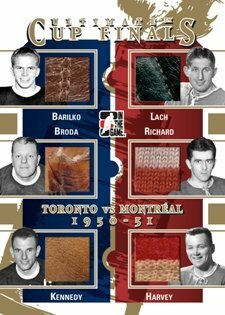 Additional memorabilia cards: History of the Franchise in the Net, FantaSTICK, Gloves Are Off and Complete Jersey. Autographs: Ultimate Autograph, Future Star Auto and Goalie Legend Auto. Journey Dual Patch & Autograph cards mix memorabilia and signatures. ITG also promises several multi-autograph cards for the set. 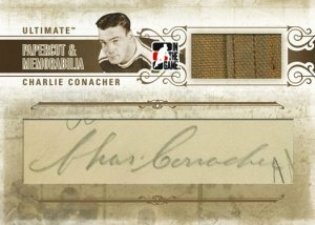 PaperCuts, Lumbergraphs and PaperCuts & Memorabilia all include cut signatures from some of the greats of hockey history. Ten different Ultimate Giveaway contest cards let collectors enter to win a full piece of game-used memorabilia. Each of the ten pieces has six different colors. A draw will take place at the SpringExpo in Toronto on April 15 to determine winners. 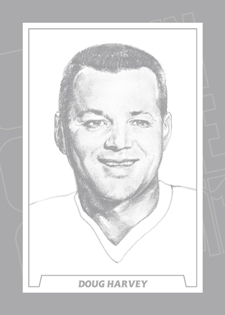 Those who don't win or pull the card after the draw will get a sketch card consolation prize. Hot packs inserted one per case. Each includes three exclusive Hot Patch memorabilia cards.